Everyday a multitude of problems and challenges come up as you go through the work day. Each challenge has many causes with different people involved. As you face the challenges it is very important to realize what is within your control and what is not. One of the biggest stresses that leaders can face comes when leaders try to control the uncontrollable. 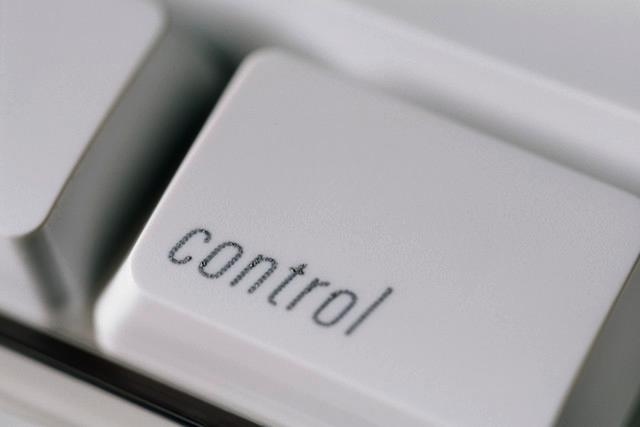 When are you in control and when is someone else in control? This question is a very valuable question. You should ask this question on a regular basis when you decide on what to focus your efforts. It is very easy to get caught up on things that are outside your control, but all that does is add undue stress. Grasp the controlled. When each thing is brought to your attention and you find that is it within your control to fix, you must do all you can to do your best. Figure out what the challenge or problem is and begin solving it. If you can’t solve it right then and there, put it in your cue as something that you should address at some future time. Prioritize it so that is gets done and it stays on your radar. Let go of the uncontrollable. In addition to the controllable items that are brought to your attention, there will also be things brought to you that are outside your control. For instance, you may have an employee that shows up late everyday. In that situation, you can tell them to show up on time and they can then choose to be obedient or not. If they are not obedient, it is outside your control once your tell them what to do. Your employees have their own desires, so all you can do is your very best to get them in line with your desires. If they don’t listen, that is outside your control and you should not lose sleep over it. If you let something like that bother you, you will have a lot of undue stress. It can eventually lead to health problems. Remember to keep things in perspective so that you don’t waste your time worrying about things outside your control. If you can do that effectively, you will have a much happier life and things will go better for you. Your example of the uncontrollably late employee is a great one. I presume that in some circumstances that you may have to take some action — note it on reviews or take even harsher disciplinary measures like a write-up if needed. But in the end, that’s all you can do — and you’ll always know that this employee is not a great candidate for promotion, special projects, etc. (and can become a layoff target, which you may or may not have to tell the person). Welcome Neil! Thank you for your comment. I couldn’t agree with you more that when you are the leader you must take action on things that are within your control like in the case of the late employee. You can terminate or hold back rewards as you mentioned. The important thing is to focus on what is within your control and deal with that. You must not worry about the factors outside your control. Thanks again!